Do you want to import a MySQL database? The article will show you step by step-by-step how to import a MySQL database with command line. Note: this article assumes you already have a MySQL database setup and a MySQL username setup. 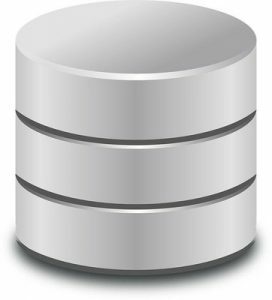 If you don’t have those, you can read this article about how to setup a MySQL database and this article for how to setup a MySQL username. This article will focus on import a mysql database in Linux but the steps should work in other operating systems like Windows and Mac as well. Maybe you have a site running WordPress or another CMS using MySQL. Knowing how to import a MySQL database is incredibly useful to know. 1. You are changing web hosts or changing to a VPS and you want to use the same database as before. 2. You just backed up your database but want to recreate it somewhere else. For example, I created a web app that uses MySQL as it’s database and I want the database to be on my my own home computer and on my server. The username part of the above comand is the MySQL username which has permission over the database, the database_name_to_import_into is the actual database that you want to import into. The -p flag means you will give a password (you will manually type in your password after typing the above command), and the databasefile.sql is the file which actually has all of the database data that you want to import. You won’t see any output besides a prompt for entering your MySQL password if it is successful. Though if something is wrong, you will see an error message. Make sure the databasebackup.sql file is in the current directory you are using or adjust appropriately to the location of the sql file. An example of importing a MySQL database. Did you find this article about How To Import A MySQL Database useful? If so, please share it with your friends.